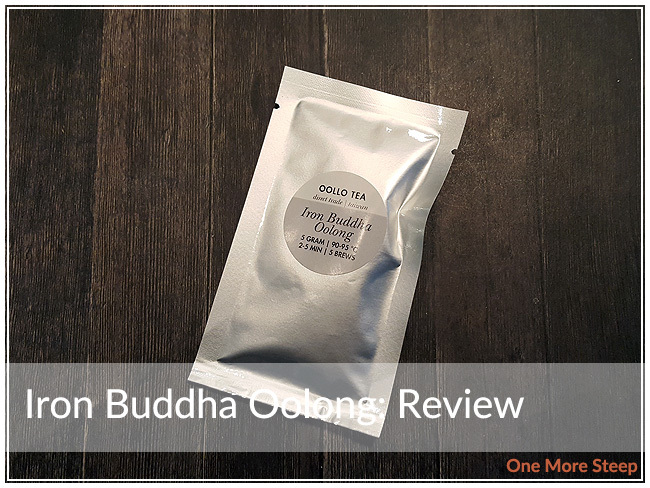 Oollo Tea has provided me with Iron Buddha Oolong for the purposes of providing an honest review. I received this product at no charge to me and received no other compensation. I first learned about Oollo Tea when I attended the 2016 Vancouver Tea Festival (oh yes, this review is long overdue!). The loveliest thing about their booth was their friendly staffers running the table and offering samples! Iron Buddha Oolong is a tea that I got in a sampler packet, I relied on their website for more information regarding the background of the tea. The first thing I noticed when I tore open the packaging is that Iron Buddha Oolong smells like plums. There this nice fruity aroma to it that reminds me a lot of plums and apricots – those familiar stone fruit flavours. There’s some woody and earthy notes to it, but the plum is what stands out to me the most. The tea leaves themselves are dark in colour and tightly rolled. 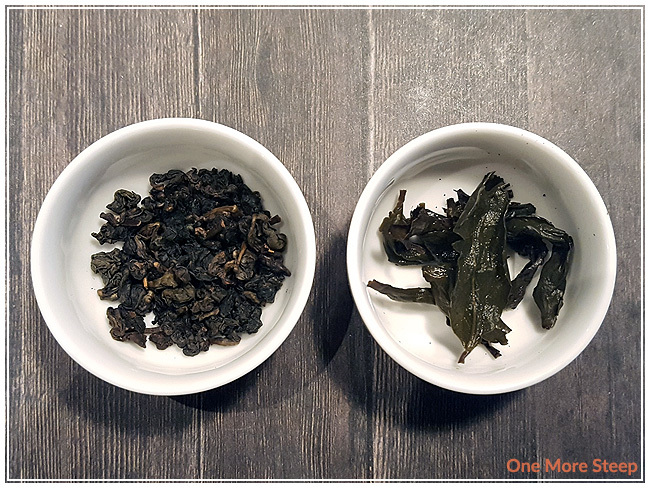 The steeping instructions provided by Oollo Tea for Iron Buddha Oolong is to steep in 90-95°C (194-203°F) water for 2 to 5 minutes. They helpfully include that it can be brewed 5 times. I steeped about half of the sampler package for my pot of tea, as I knew that the leaves would need room to expand. The first steep I did was for 2 minutes, and the Iron Buddha Oolong steeps to a deep orange. The smell of the tea reminds me of honey and plums. After the two minutes, I tried a sip and found that the tea itself has a very nice texture to it. There’s almost this thickened feel to it. Iron Buddha Oolong gave me a nice warming sensation as I drank it, there’s zero bitterness or astringency to this tea, and there’s a nice smooth mouthfeel to it. The plum notes in this tea are quite nice, and mingle well on the tongue. 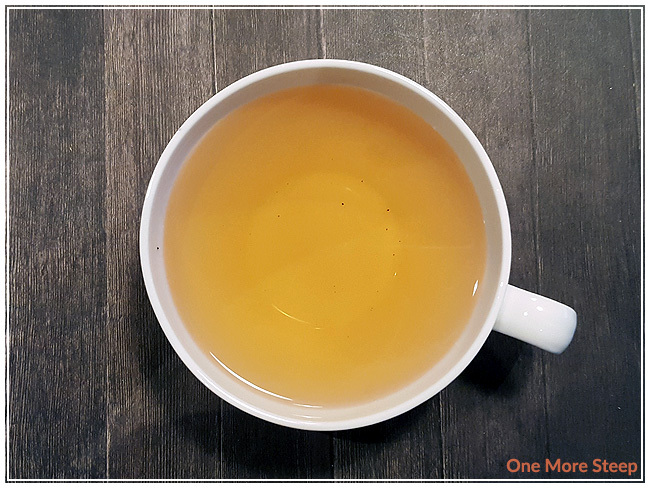 Iron Buddha Oolong has a nice natural sweetness to it with the honeyed notes that it does not need additional sweetener. Because Oollo Tea suggests up to five steeps, I could not resist trying it out for multiple steeps. The second steep (2mins, 30secs) was paler than the first steep, but the honeyed notes became strong. For steeps three, four, and five, the flavour remains well balanced between the plum and honey notes. Steeps six and seven start to wane a little bit in terms of flavour, but it’s still pleasant. By steep eight, the tea begins to lack flavour enough that I didn’t try for a ninth. 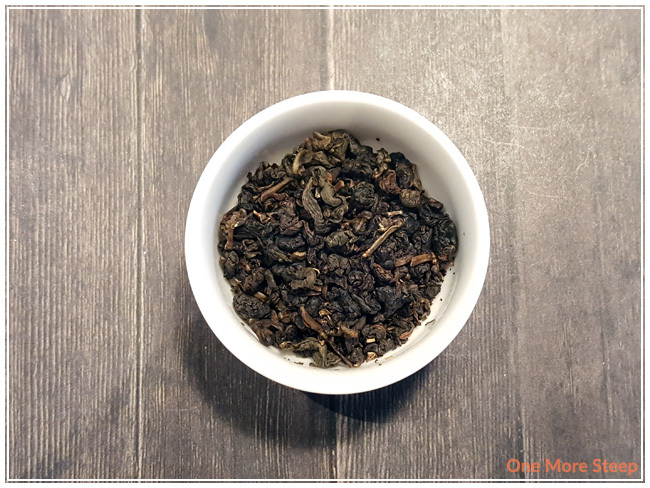 I loved Oollo Tea’s Iron Buddha Oolong. I’m always a sucker for a good quality tea that can be resteeped again and again and again – and for eight good steeps, this is a sure winner and definitely worth the price of the tea. While $10 for 25g may seem expensive, please keep in mind that I used half of a package of a 5g package for a pot (so ideally 25g would yield 10 pots of tea, with 7-8 steeps per pot). The sweet plum flavour of this tea is delicious, and I think it would be great tea throughout the day (and I would recommend it, seeing as how many times it can be steeped!). The beautiful honeyed taste to Iron Buddha Oolong makes it a winner for me, since I love sweet things.